In Search of the German Bundeswehr of the Future - Atlantik-Brücke e.V. The 2016 White Paper working group of the Federal Ministry of Defense and additional experts have resumed the process of discussing defense and security policy guidelines for the next ten years. After the inaugural event with more than 200 participants in February of this year, further expert workshops took place in the last several weeks with approximately 80 participants each from the fields of politics, economics, and thing-tanks as well as the media. Recently, representatives of the working group met with a delegation of eight members and guests of Atlantik-Brücke to continue the dialogue. The discussion was moderated and led by Professor Dr. Burkhard Schwenker, the chairman of the working group on foreign and security policy. The goal of the meeting was to contribute ideas and suggestions in the early phases of the discussion and to incorporate perspectives from various fields including politics, economics, civil society, and the media. The following passages document the results and conclusions reached in this discussion. The discussion focused heavily on the definition of hybrid warfare, the challenges that it poses, and how to effectively combat it. The first challenge that the experts faced and extensively discussed was the question of how to define hybrid warfare. The initial observation made by the experts is that it is important to emphasize the combination of conventional warfare and the intensive utilization of cyberspace. The latter can come in the form of propaganda used to support armed conflicts; for example, it can be utilized in social media and other platforms or even take the form of a cyber attack. Just several weeks ago, the internal network of the German Bundestag was subject to a digital attack by anonymous hackers. In an effort to describe the current situation, the participants put forth the thesis that hybrid warfare does not necessarily equate to war; however, it is also not symptomatic of peace. Another defining element of hybrid warfare that the experts identified is the fact that it is difficult to identify specific actors and aggressors. An additional cornerstone of hybrid warfare is that intimidation tactics are utilized to pressure companies and organizations with the overarching goal of gaining leverage to influence the actions of governments. The discussion group also emphasized that the technical components of speed and diversity enabled by cyber networks are key ingredients of hybrid warfare. The participants classified the phenomenon as a legitimate threat that is currently manifesting itself in social networks with the implication that it has the capacity to affect society as a whole. Traditional forms of media, including newspapers and television networks, are vulnerable to be used as instruments of propaganda. Large volumes of letters to the editor and audience reactions are additional methods of attack on the media. More integrated strategies are necessary to combat these forms of attacks. Furthermore, to effectively combat hybrid challenges the approaches must constantly be evaluated for their financial viability. The experts agreed that the current situation in Ukraine exemplifies this form of conflict; however, they were divided on whether or not the terrorist activity of the Islamic State in Iraq and Syria fits the mold. In the preliminary summary, the experts identified that in hybrid warfare, aggressors exploit various avenues – the military, communication, and economic means – with the objective of creating instability and uncertainty. The fact that boundaries between domestic and foreign security are not always distinct was also extensively discussed. In this context, it is necessary to approach hybrid warfare with a holistic, 360-degree strategy that addresses both domestic and foreign issues in addition to the areas that they overlap. The experts compared the current issue with the disruptive changes that digitalization has brought upon the economy. At the onset of the digital age, many companies questioned whether or not their business models were still viable or if partnerships within the industry, divesting business, or further acquisitions made more sense in light of digitalization. The experts emphasized the comprehensive, integrated methods of hybrid warfare, and extrapolated five ways for German security policy to approach and combat them. Virtually all elements of politics and economics are vulnerable to these threats. The largest task is finding a way to integrate these fields in such a way that provides adequate protection against weaknesses and has the capacity to overcome vulnerabilities. It is imperative to react to these threats swiftly and with a high degree of flexibility. The five areas where the Bundeswehr can take action include: early identification of crises through collecting and accurately analyzing relevant data, increasing resilience of critical infrastructure, improving strategic communication, cooperating with the EU and NATO, and lastly employing defense-policy as a tool for deterrence. The participants in the discussion also noted that aggressors have the ability to execute their attacks quicker and with more ease relative to the traditional conflicts of the twentieth century. This is largely a result of the fact that digital interconnectivity leads to internal unmanageability and increased vulnerability externally which poses more difficult challenges for defense policy than ever before. Adequately addressing these challenges will require consideration for how to optimize and reform the German security apparatus. The idea of creating an institution focused on maintaining a constant overview of the field of hybrid warfare was also discussed. This poses the difficult question of how the German Defense Ministry will approach these challenges and create and implement individual, future-oriented strategies. The group of experts spoke in favor sharing the experiences of the centrally organized defense policy’s management with the USA, France, Great Britain, and Finland. The democratic values of Western and European countries do not make it possible for them to respond to hybrid threats with the same means that the aggressors employ in their attacks. 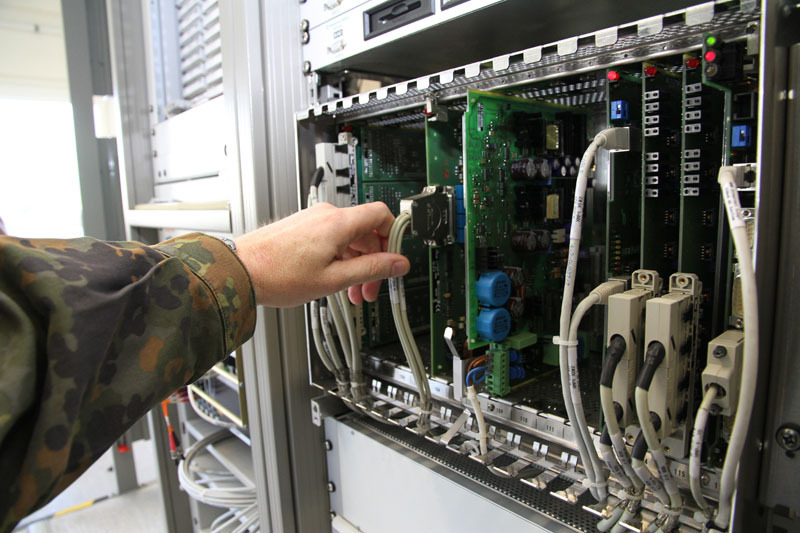 The experts view the Bundeswehr as an instrument to ensure preventative national security. In terms of the organization of the military, the process of reorienting and restructuring is still ongoing. The specialists concluded that the emergence of hybrid warfare and the operations of non-governmental actors will make it increasingly difficult for the Bundeswehr to anticipate patterns of attack; therefore, making early, preemptive discussions like this one indispensable to addressing future challenges.